As a private rehab clinic who specialise in addiction and recovery, we always on the lookout for the latest trends in the industry so we can provide the best possible treatment for our clients. With this in mind, we decided to review all the bloggers who have been creating great content in 2018 and credit them for the great work they do in keeping us as well informed as possible. 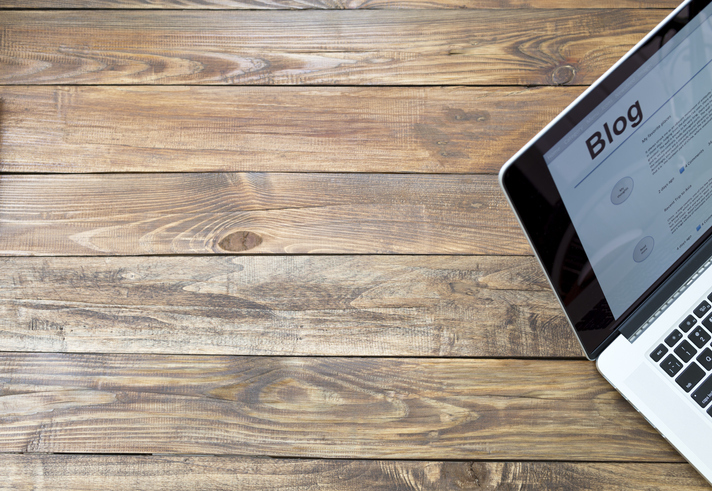 We have seen some great blogs in 2018 and due to the sheer amount we were able to produce a Top 50 list of our favourites. The River Source Integrative Recovery Center has over 15 years’ experience in addiction treatment and recovery. We really liked their addiction quotes blog which was designed to inspire, encourage and support those going through an addiction. Renascent is a leading addiction treatment centre based in Toronto, Canada. They have a great blog about How to Recover from Marijuana Addiction through treatment. Desert Cove Recovery is a private addiction treatment centre based in the heart of Arizona, U.S. We really enjoyed reading their blog about the Benefits of Holistic Addiction Treatment, we strongly believe in this form of treatment and the blog really goes in depth about the many benefits it has on an individual. The Beach House Drug Rehab and Alcohol Treatment Center is based in Florida, U.S.A. The blog they produced regarding the 4 biggest obstacles men face in recovery is very accurate and well thought out. The Sobriety Collective is a community of creative people living a substance-free life and contributing to industries such as film, music, education, fitness etc. Their blog titled “6 Myths about Getting Sober you might actually still believe” is really good and very accurate, we would definitely recommend giving it a read. Cathy Taughinbaugh created her own blog to help parents who are struggling with their child’s substance abuse disorder. Her website contains a lot of useful resources and blogs about addiction and recovery. A great blog by Cathy is titled “5 Astonishing Ways Kindness Can Help You Heal”, this is a very uplifting read and really goes in depth around the whole subject. Ashwood Recovery is an independent outpatient treatment centre based in Idaho, U.S. We liked their article about the 28 Telltale Signs of Heroin Addiction. Serenity at Summit are a group of rehabilitation clinics all based in North Eastern U.S. They have produced a blog on why Gratitude lists can be great in aiding your recovery. Spectrum Health Systems were founded in 1969 and are one of the leading specialists in the treatment of addictions and mental health conditions. They created a blog on why it’s massively important that we do not forget about alcohol use disorder even during the current opioid epidemic that is happening worldwide, you can read it here. Edgewood Health Network have over 50 years’ experience in mental health and addiction treatment. They are the largest network of inpatient and outpatient treatment services in Canada. We really enjoyed their blog about challenging the stigma associated with addiction. The Recovery Village Ridgefield is a new recovery centre which has opened in Washington, the centre provides treatment for drug and alcohol addictions. They recently produced a fascinating blog about VR & addiction and how it will be used when treating addictions in the future. We are currently looking into introducing VR in our own centres and we found this blog very useful in our research of the subject. Cumberland Heights provide the highest quality of care which is aimed towards adults, adolescents and families who are suffering from addiction or who have been affected by it in another way. They published a blog about teens and the twelve-step programme which details how the programme can be modified to suit the needs of a teenage in recovery. Workit Health are a unique company as they provide online treatment for addictions. This is done through video chat and 24/7 online messaging and is very much a modern way of addiction treatment that we have been paying close attention to. We really liked their blog about the 10 natural tools for overcoming Anxiety in addiction recovery, it’s an interesting subject and we will look at incorporating some of these tools into our own recovery programmes. The Recovery Village Columbus offers comprehensive addiction treatment which is carried out by some of the best specialists in their field. Their blog about the four pillars of successful long-term addiction recovery is a great read and gives good insight into the secret of sustained recovery from addiction. Northpoint recovery pride themselves on providing a beautiful and unique setting for addiction treatment. They posted a very interesting blog regarding the 10 surprising statistics about addiction which is a fascinating read for any addiction specialist. Futures Recovery Healthcare are a specialised addiction and co-occurring mental health disorder treatment provider based in Palm Beach County, Florida. They posted out a really interesting blog on the 7 benefits of exercise in addiction recovery. The Cabin Chiang Mai is the number 1 addiction treatment centre in Thailand. They offer incredible facilities to help keep you as comfortable and relaxed as possible while receiving treatment. With this in mind, we especially enjoyed reading about relaxation being an essential part of recovery. Northpoint Washington are recovery experts based in Washington State, they have a lot of great content on addiction recovery. We especially liked their about whether opiates can in some cases actually make pain worse. Foundations Recovery Network have a number of centres throughout the United States. They have a lot of great blogs about addiction and recovery. The blog that stood out for us was one they produced about how a parent’s tough love could help save your child’s life. The Right Step family of addiction treatment centres is based in Texas and offers residential alcohol and drug rehab programmes. They recently released a fascinating blog about why jail and drug addiction is not always the hopeless situation that it seems to be on the surface. Pine Rest Christian Mental Health Services are the fourth largest behavioural treatment provider in the U.S. They provide care for people suffering from addictions and mental health conditions. We liked their blog about addiction being a disease and not a moral weakness. Ocean Hills Recovery provides residential treatment for a range of addictions. We really like their blog post titled “Misconceptions About 12 Step Rehab”, we strongly believe in the 12 Step Programme and this blog really goes deep into the common misconceptions that are circulating the web. Drug and Alcohol Rehab Asia provide a luxury rehab experience in Thailand. They also regularly update their website with the latest information on addiction and recovery. An interesting blog they created this year is about Cognitive Behavioural Therapy and how it can benefit addicts and alcoholics. Morningside Recovery is an addiction clinic based in Orange County, California. In their addiction blog section, they have many great articles related to addiction, our top pick is “The Importance of Spirituality in Addiction Recovery” as this is a message we like to convey to our penitents while receiving treatment. Recovery Centres of America provide residential rehabilitation treatment for addictions throughout the United States. They have produced a great blog which explains how to get a child or loved one into treatment. The Recovery Research Institute is a non-profit institute dedicated to the advancement of addiction treatment and recovery. They published a story about a prosecutor’s struggle with addiction and how it’s becoming a widespread problem throughout the legal profession. Sober Nation is a great daily resource for breaking news on everything addiction related. We particularly enjoyed reading their article on how pop cultures constant association with addiction just doesn’t add up. The Gateway Foundation are leaders in evidence-based addiction treatment. Their team consists of highly educated clinical & medical professionals, expert psychiatrists and nurses. We really liked how informative their blog on the Signs of Prescription Drug Abuse is. Transformations is a PHP treatment centre specialising in the treatment of people dealing with alcohol and drug problems. They regularly keep the blog section of their site up-to-date with some great and informative content that we really enjoyed reading through, we really liked their blog about “The Unsung Heroes in Addiction Treatment”. Action on Addiction are a national charity offering residential and community-based treatment throughout the UK. Much like ourselves, they provide treatment for people suffering from an addiction to alcohol, drugs, gambling among many more. The charity is doing an absolutely fantastic job in spreading the word about problems the UK is facing when it comes to addiction, their blog post entitled “Successful treatment lies in the assessment” talks about why carrying out an assessment to determine an individual’s needs and readiness for change is absolutely key in the successful treatment of an addiction. The Alcohol Rehab Guide was created to help provide information for those dealing with an alcohol addiction with the hope of guiding them into a treatment programme. Their blog post about Planning Life After Rehab is very informative and a great blog for anyone who has been through an alcohol rehabilitation programme and are wondering what to do next. The Meadows provide powerful and unique methods when dealing with addiction treatment. They deal a lot with the psychology of an individual and specialise in the treatment of traumas. A great blog they produced in 2018 is entitled “The Dis-equilibrating Dynamics of an Addicted Family System” and is a very well written article, it gives a great insight into understanding families that are affected by addiction. Addiction Journal is part of the Society for the Study of Addiction, all resources on the site are fact-checked by experts in the field of addictions. Their editorial titled “Microtransactions can move popular online games close to online gambling” is something we really found interesting and will be keeping a close eye on. Caron has been one of the leaders in addiction treatment for the past 60 years. They have a fantastic blog section with new posts uploaded practically every week. Our top pick for their best blog post has to be “In Addiction and Recovery, Guilt Heals While Shame Poisons“. The main goal of addictions.com is to help families and individuals find help for whatever addiction they are being affected by. 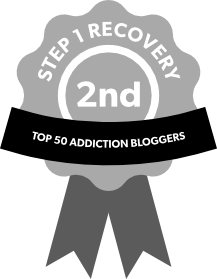 They create blogs to help educate people on the subject of addictions and mental health, informing people of the steps they need to take if themselves or a loved one is suffering from issue with addiction or are experiencing problems with mental health. Our pick of all the blogs they have produced this year is one about forcing someone into substance treatment and does it actually work?. Facing Addiction recently merged with NCADD whom have over 75 years’ history in proving treatment for people dealing with addiction. This wealth of experience is showcased in the blog section of the site, with a great article calling out The New York times on their poll about whether people are interested in news coverage about Opioid Addiction. In the piece produced by the times, it just talks about the Opioid problem but as highlighted by Facing Addiction there is a more widespread problem to do with Alcohol and other drug addictions that needs coverage as well. To read more about this visit their here. AddictionBlog.org is a website that consists of a large network of bloggers who are all industry leaders in the field of addiction treatment. We really liked their blog about the dangers of technology addiction for teens, this is something we believe will become more of a widespread issue in the future as more and more kids are being brought up totally reliant on technology and are completely out of touch with the outside world as a result. Drugrehab.org is an informational website for people who are dealing with addictions. Their aim is to spread the word about addiction treatment for anyone who is experiencing addition whether that be themselves or a loved one. They uploaded a great blog titled “inspiring reads on addiction and recovery” which show books that we have gone on to purchase ourselves. Narconon are a worldwide company who are committed to providing the very best rehabilitation techniques for effective long term recovery. Have a read of their blog about why life change is necessary for effective addiction recovery. The Hazelden Betty Ford Foundation is the largest non-profit treatment provider in the United States, they have a lot of centres spread out across the whole of the U.S. With such a large number of professionals working for them it can come as no surprise that the blogs they produce are always excellent. Their blog about addiction and self image is a great read, you can view it here. Rehabs.com was found in 2011, its purpose is to provide information for people suffering with addictions and mental health conditions along with details on where they can go to get treatment. A Psychology Major’s Experience With Addiction and Ibogaine Treatment is a fascinating article and is a must read, you can view it here. Addiction Centre is an informational web guide for people struggling with addictions or mental health disorders. They always provide very informative and well researched blogs which our staff always enjoy reading. We really liked their blog about 4 ways to encourage your loved one to get help, we find that interventions programmes are usually the best way to get your loved ones to open up about their addiction and accept the need for help, but other points that can be found in the article are also absolutely essential when dealing with this difficult process. Recovery.org is a resource for American Addiction Centres and contains first hand accounts from real people who have experienced addiction and recovery. There are so many amazing stories on the site which made the decision on which one we most liked an almost impossible decision. The one we finally decided on was a blog written by Natalie Baker about when your addiction has caused you to lose your career and how you can overcome it. This is quite a short piece but it covers all the right basis and shows that giving up is not the answer, keep trying to move forward even if their seems to be no way to do that. The Fix is one of the worlds leading websites on addiction and recovery. It includes all the latest news regarding our industry and is a website every addiction and recovery specialist should be paying close attention to. We really enjoyed their blog about addiction being a choice or a disease, you can read it here. The recovery village offers a very similar service to ourselves, this is why we take great interest in their work to see if there is anything we can learn from and apply to our own practices. They have many fantastic centres covering some of the largest areas in the United States. We found their blog regarding AI and Social Network for Addiction Treatment to be extremely interesting, we are looking into AI technology ourselves as we believe this could be a game changer in addiction treatment and is definitely something to look out for in the coming years. Partnership for drug free kids is a fantastic organisation aimed at giving guidance to families who are struggling with their son’s or daughter’s substance use. They have provided us with a lot of inspiring blogs this year but the one that really stands out for us is the amazing story of their CEO Fred Muench who through his own struggles with Heroin addiction managed to completely turn his life around and went on to obtain a PhD in Psychology. You can read more about his amazing story here. Psych Central is the Internet’s largest and oldest independent mental health online resource. The information available on the blog side of the site is really useful and covers pretty much every form of addiction known today. We find their blog about addiction and powerlessness to be fascinating and a must read for anyone wanting to know more about addiction treatment. Psychology Today is a site devoted exclusively in producing new information about what’s happening in the world of psychology. Most of the blogs produced on the site have been created by highly knowledgeable professionals in the complicated but interesting field of Psychology. The list of great blogs surrounding addiction and recovery produced by them is pretty substantial for 2018, but our personal favourite has to be Eight Addiction Myths written by Stanton Peele Ph.D.
Healthline are a well-known provider of health information on a wide variety of conditions, they have produced some excellent articles this year regarding addiction recovery. Our personal favourite was their investigation into opioid addiction treatments that may surface in 2018.